RUSH: No, no. It’s called “Just Like I Treat You.” Folks, I found a new tune. Do you know how I discovered this? Apple Music. I subscribe to Apple Music, and every Friday they release a new music mix that is ostensibly tailored to you based on what you listen to in iTunes and Apple Music. It’s 25 songs and it’s every Friday, and this was about a month ago there was a song by the Stones, and I said, “The Stones? Okay. I know it was the Stones.” So I listened to it, and damned if it didn’t sound like it was from the sixties and seventies when the Stones were the Stones. So I started listening to it. You know, new music for me is really, really tough. I’ve had to ask Mr. Snerdley to come in here and tell me what instruments I’m hearing so that I can associate them. Like, I thought something was I calliope and it’s piano. So now that I know it’s a piano, it makes more sense. So I’m liking it more and more as I listen to it. I like to do demographic research. So Sunday I went out and played golf at one of my favorite clubs and I got there earlier than usual, so I went to the bar. A 25-year-old woman is the bartender there, and I had just gotten out of the car after listening to this song. So I thought I’d ask, “Do you know who the Rolling Stones are?” She’s 25. (interruption) What are you frowning at me for? (interruption) Well, just stick with me on this. I think I actually said, “Do you like the Stones? Do you like the Rolling Stones?” “No, not particularly.” “Can you name a song for me that the Stones sing?” “No.” By the way, this woman’s hip. Do not misunderstand. She has a boyfriend who works at the Sirius satellite golf broadcast or some such thing. So I began peppering her with all kinds of demographics questions. She’s 25; I’m 66, and I’m trying to find out what she knows that I know that what we have in common and so forth. “Well, who do you listen to? Who do you like?” “Tom Petty.” I said, “Tom Petty! Tom Petty? You know Tom Petty but the Stones are kind of an afterthought?” “Well, my dad listened to Tom Petty all the time. I love Tom Petty.” I said, “Okay, that’s fine.” She loves football. Hates soccer. Basketball, not crazy about. And I thought, “How’s this gonna be received?” And she agreed. She said, “You mean like ADD?” I said, “Yes, exactly! Exactly like ADD, and all these other things we’ve had to invent,” and she started nodding her head. It showed me that the demographic breach is not nearly that wide. Anyway, I started telling her about this Stones song and that it’s on… The Blue & Lonesome is the name of the album. These guys are 72 years old! 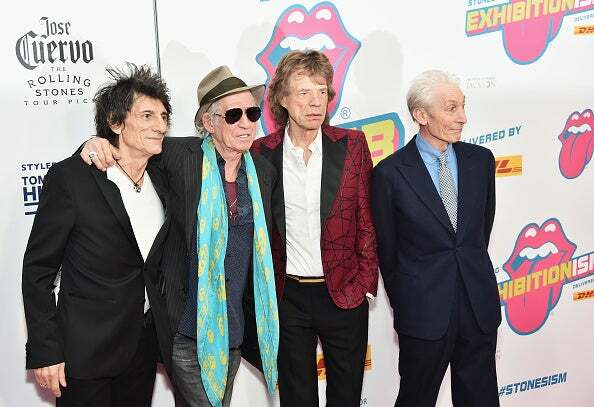 The Rolling freaking Stones are 72 years old! And there’s a little video of them, a one-minute compilation video of in the studio recording some of the songs on this Blue & Lonesome album, and it’s like these guys haven’t changed. I mean, they look 72. There’s no mistaking that. But they still have the energy of 24-, 25-year-olds. It’s just fascinating. There’s no way… I guess Sinatra was still performing when he was 72, but it’s just proof to me that people of our generation have not had to get old nearly as quickly as our parents and grandparents did.